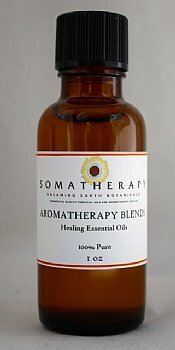 Our Spirit Essential Oil Blend is a fantastic aromatherapy blend to diffuse during meditation, prayer and yoga. Spirit Essential Oil Blend is the perfect oil to diffuse when practicing yoga or meditation, or early in the morning when the house is quiet. It's a lovely way to begin the day, being both grounding and energizing. You can also add this blend to any carrier oil such as Sweet Almond or our Massage Base (2 drops per teaspoon) and it's also very effective if added to a warm bath (2 to 4 drops).